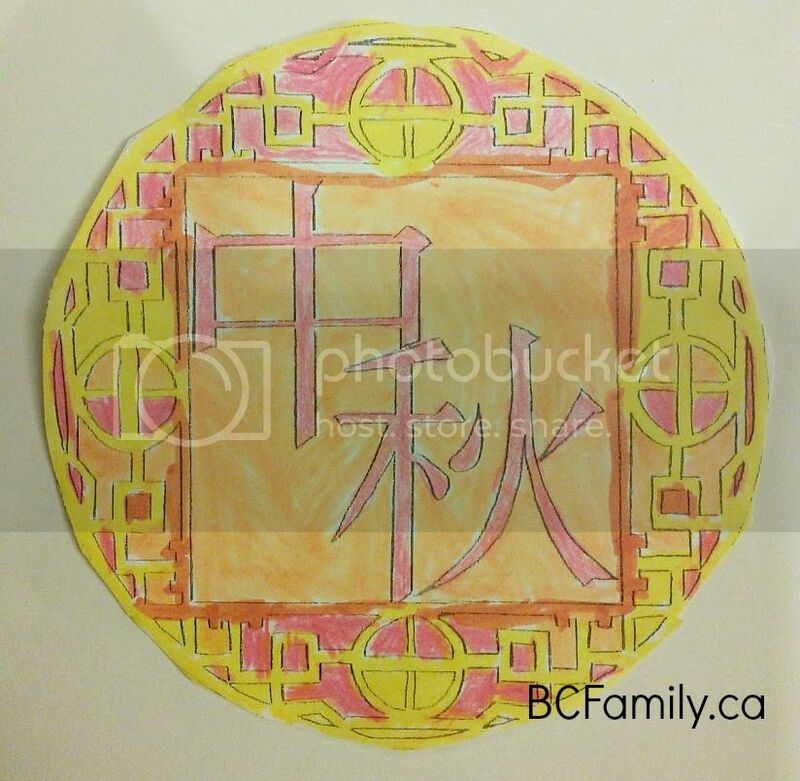 Mid Autumn Moon Festival artwork that my daughter completed in 1st grade. The sky is blue and the clouds haven’t rolled into the Lower Mainland yet. It’s a perfect day to get outside and enjoy the sunshine. It will also be the perfect night for moon viewing and celebrating Mid Autumn Moon Festival. Mid Autumn Moon Festival is a Chinese festival that is celebrated on the 15th day of the 8th month in the Chinese calendar. Each year – according to the Gregorian calendar used in Canada – it will fall in either September or October. I first noticed this festival when I was a graduate student at UBC, living in a graduate student college called St. John’s College. St. John’s houses 160 graduate students, post doctoral researchers and visiting scholars. During the time of the festival, there would be a special banquet for the residents and a cultural performance was held in the college’s lounge. One year I recall seeing musical presentations, a play and listening to a sung recital of poetry, which was particularly beautiful. After I met my Chinese-Canadian husband, I decided that it would be fun to celebrate the festival in our own way. This is the recipe for our celebration that we have developed. Have mooncakes on hand. My mother-in-law kindly supplies us with cakes every year. They are very beautiful and look lovely displayed on a tray. Choose poetry to recite. The poems don’t have to be about the moon necessarily, although that’s always nice. But they should be written by Chinese poets from centuries past. It’s always interesting to hear the thoughts of people who lived long ago. Bake a cake or cupcakes and decorate them with a moon inspired design. Set up lanterns on the balcony. I have pretty embroidered lanterns from China that I like to use. Set out the cakes and have blankets on the chairs. Invite everyone to come outside when the moon viewing is optimal. If there is some cloud coverage at night, you have to watch to make sure you don’t miss your opportunity. Read the poems and admire the moon. It’s that easy and that simple. You can develop any traditions that you’d like and you don’t have to be Chinese to celebrate. At this time of the month, the harvest moon is at its roundest. 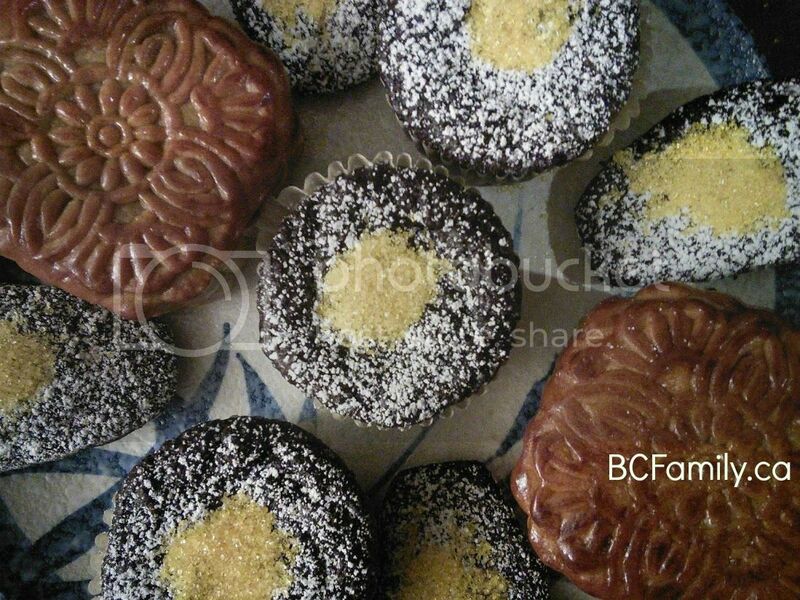 It symbolizes families coming together and many do get together to have dinner, look at the moon and eat mooncakes. This is also the time when rice is harvested, so the celebration – as one Chinese woman explained to me – is a version of the Canadian Thanksgiving holiday. How do you celebrate Mid Autumn Moon Festival? You can comment about this posting on the BCFamily.ca Facebook page. Your contribution matters so don’t be shy! 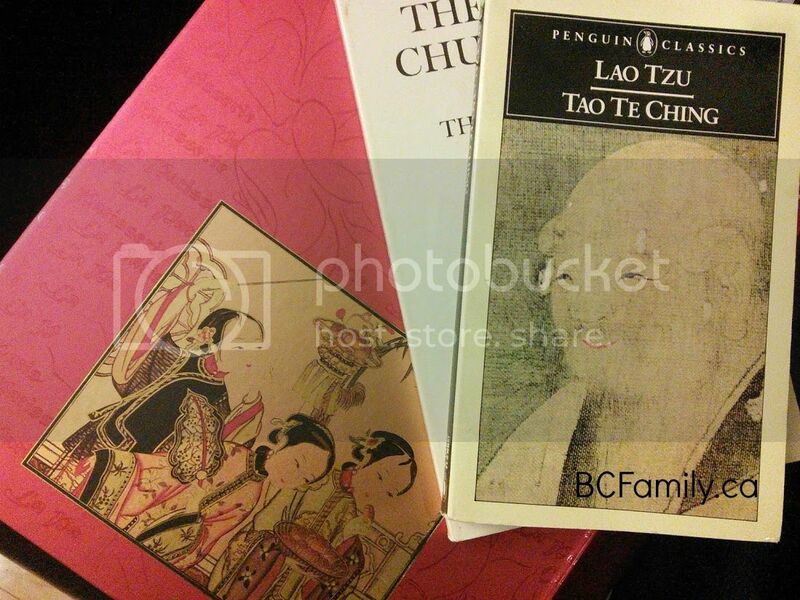 * BCFamily.ca uses Book Depository affiliate programme links. Book Depository sends books to Canada, and worldwide, using free (!) worldwide shipping.